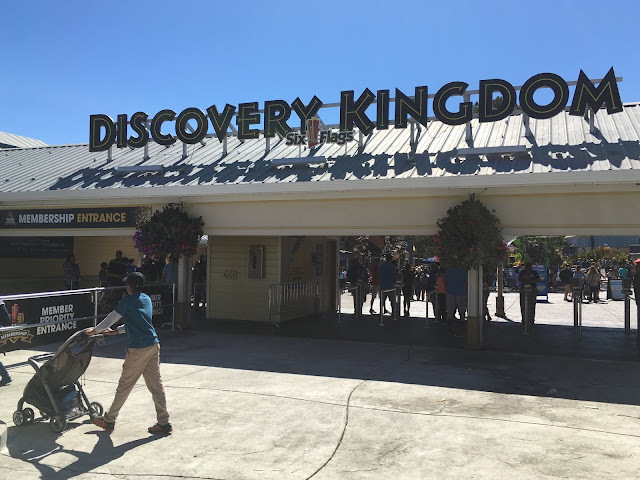 Today we head to our home park of Six Flags Discovery Kingdom to take a look around during the busy Summer 2015 Season! We check out the new transport buses, Dare Devil Chaos in action, Roar for one last time before it closes August 16! Jokes aside, kudos aside to the park for replacing the aging trams with these modern buses. They seem identical to the buses recently added to Magic Mountain just down the coast, minus the big graphic wraps MM has on them advertising their coasters. On a hot summer day, like today, these buses are much appreciated by the sun baked guests. Not to mention, it sets a good vibe for guests as they first enter the park. Drop off and pickup areas are the same as before. They really want you to know that VOODOO is closed today! The park was the usual busy Summer Weekday, meaning, manageable 20-40 minute waits for most rides throughout the day. One of the longest lines in the park was for the water fountains, as the park was pushing 97 degrees! The entrance plaza fountain has been drained in order to conserve during California's drought, which we highlighted earlier this year when we saw signs of the park wasting the precious resource. Happy to see the park addressing the problem and being proactive with the issue! Out of the park's three water rides, White Water Safari was the only attraction closed. This appears to be a good call, as Monsoon Falls and Tsunami Soaker most likely use less water than the large WWS river attraction. Water was still running at White Water Safari, but at much lower levels than usual. This place looks new...Paddle Handle Corn Dogs anyone? 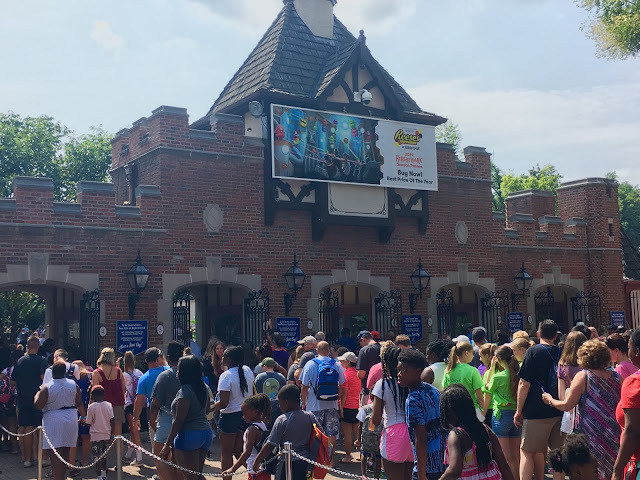 Dare Devil Chaos has reopened, due to the "maintenance" performed during the first 2 months of operation on this brand new ride during the busiest Summer Season. Nobody seems to know what went wrong, and I wasn't able to get a straight answer; let's go with maintenance. While not my forte, the attraction is a good stepping stone for those young thrill riders wanting to experience their first inversion. The park is running a very vicious and inverting ride cycle currently, as riders were experiencing a solid 4-5 seconds of hang time as I walked by...This can be considered either a positive or negative aspect for those who want to ride. 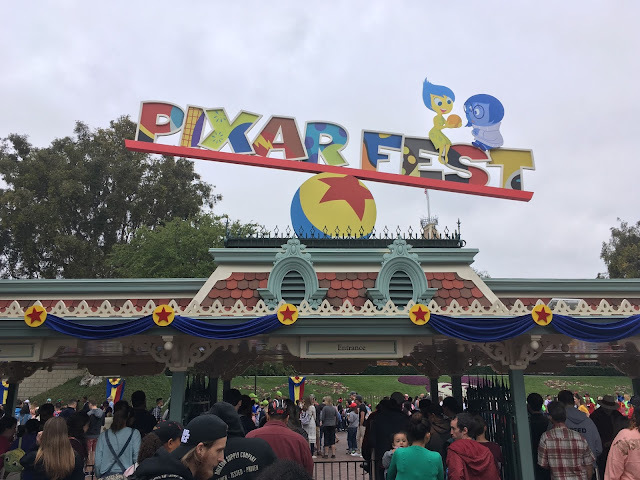 Though I am personally not interested in ever riding this flat ride, I can appreciate that the park took the time to theme and paint the ride to match the rest of the area. It looks as "not-traveling-carnival ey" as physically possible, so at least the coaster isn't an eye sore to walk by. Parallel to the ride is the new Dare Devil Grill, which replaced the previous Sky High Fries location. The menu is pretty basic, with burgers and fries. Eh. Finally, time to ride "Farewell to Roar Closing August 16". What! It's closing! It's definitely not going to be reborn as a hybrid coaster by Rocky Mountain Construction for 2016! This still makes me a little sad, as losing almost any coaster generally is. But getting one of the best coasters in the country by RMC at my home park is more than enough to make me happy again! Imagine yourself standing behind those air gates next year, next up to ride one of the best coasters out there! Good bye back of Roar's Station! This view is going to look very different over the next few months! The tease guests will see next year while entering the park will be incredible! Farewell Roar! Thanks for the memories! The future holds much excitement for Discovery Kingdom, and we're more than excited to report on it! That's all for now from Theme Park Overload! Make sure to "LIKE" our Facebook Page for Exclusive Content and Live In-Park Updates! (Including updates on "Roar's demolition") www.Facebook.com/ThemeParkOverload My name's Nicholous, and Thanks for Reading!